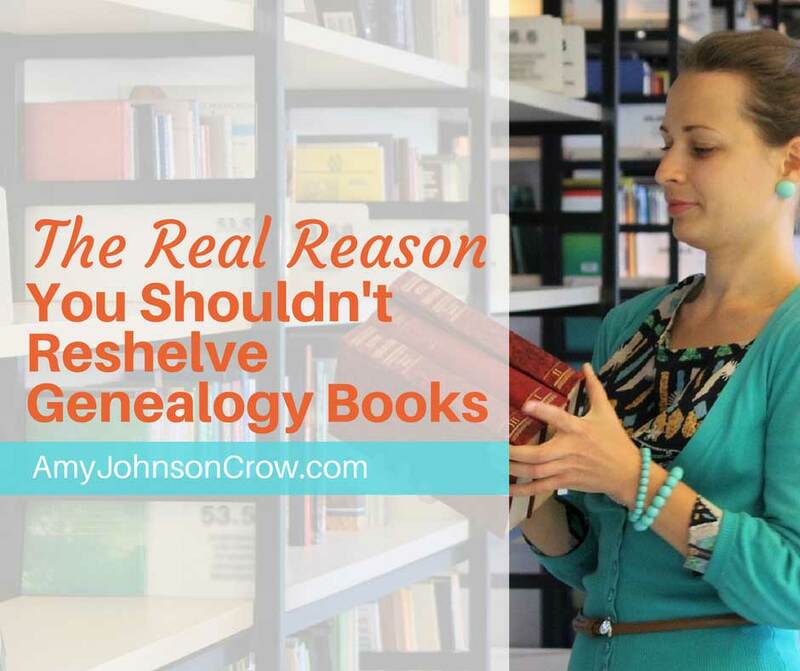 If you’ve ever been in a library with a genealogy collection, you’ve probably seen signs that say, “Do Not Reshelve the Books.” There’s a good reason why you shouldn’t reshelve genealogy books… and it’s probably not the reason you think. 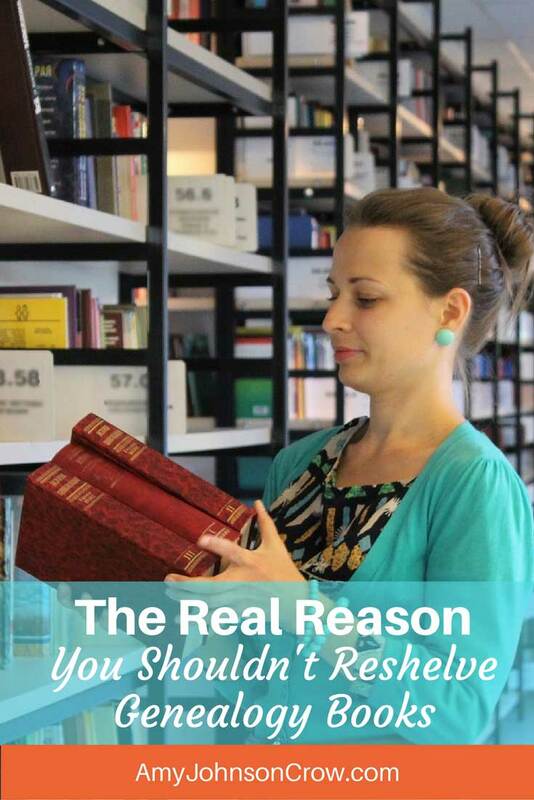 The reason the “Do Not Reshelve” sign is there isn’t because the librarians don’t think you can figure out where to put the books back on the shelf. (Ok, it isn’t the only reason… ) There’s a much bigger reason why the books you use need to stay out. In this day of ever-tightening library budgets, librarians need to justify like never before the money they request for their departments. It isn’t enough to say, “Genealogy is important” and expect to get any budget. They have to quantify the usage of the materials in the department. Since most genealogy collections don’t circulate (meaning you can’t check out a book and take it home), the genealogy librarians can’t count regular circulation stats like other departments. That’s where asking people not to reshelve the books comes in. Librarians can count the number of books used when they reshelve them. This becomes their “circulation” count or “usage” count. If you reshelve the book, they can’t count it. And if they can’t count it, it’s that much less that they can use to justify their budget request. These statistics also help librarians spend their budget in ways that improve the collection. If they see that a lot of books from a particular state or county are heavily used, that’s a signal that there’s interest in that area. 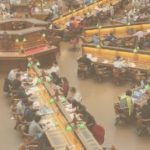 When it comes time to buy books, the librarians look at those stats to identify which areas have the most interest. You mean well and you just want to help out. 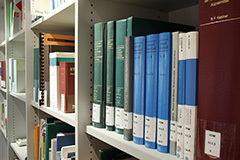 The best way you can help your genealogy librarian with the books is to leave them on the table or the return cart. 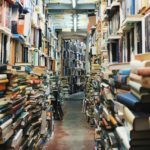 Leaving the books to be reshelved allows them to be counted — and those numbers help make things better. This entry was posted in libraries by Amy Johnson Crow. Bookmark the permalink. You’re right about that, Kelley! I don’t use the books much in the State Library or State Archives, but the Library does ask us not to refile the microfilm. However, I go there about every 2 weeks and the films are lined up on the file cabinet about 2 deep and 10-15 across, so if they need it for statistics, someone isn’t doing their job, lol. At the Archives, we are able to take & refile all microfilm, but they do ask that we keep track of approximately how many we’ve looked at – and it is specifically for statistics – justification that they are a necessary entity. Glad to do it. 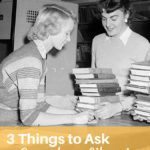 I’m a library worker and I didn’t know that until I was researching in our genealogy library. And believe me, I know where those books go! Hi, Lynn. Thanks for asking! Yes, you may reprint it in your society’s newsletter as long as you list me as the author and include a link back to the blog. Thanks to you, I learned something today. I always thought I was *helping* by re-shelving. I won’t do it again! As a retired school librarian, I didn’t always have students reshelve, because they didn’t know where they went. But I have been guilty of reshelving genealogy books. Thank you for the explanation of their reason for not wanting them reshelved. Thank you for this post. I’m one of the guilty parties and for exactly the reasons you gave. In future I’ll leave the books out (and maybe even a few extras). Can’t believe I never knew this! (smacks forehead)… I do solemnly swear I shall never ever ever reshelve books again! Great bit of information, Amy! Thanks for the info Amy! Like so many others I thought I was being helpful! Guilty as charged! I had no idea, I’ll leave the books out from now on. Thanks so much for your public service announcement. Librarians worldwide should name you their heroine of the year for this. Thank you. It would be helpful if Libraries would put a sign on the return cart or somewhere easy to see, so people knew this reason. I often pull a book off the shelf, stand right there – check the index – maybe read some, and then slip it right back. I would never have considered walking to the cart or somewhere else and not reshelve it myself. Good point, I’ve done the same thing many times, i.e. just look at the index, then put it right back. I also agree that they should just ADD THIS INTO TO THE SIGN. How hard it that? “Please don’t re-shelve. We count all books used so we can maintain funding to keep this library open for you.” Second sentence in smaller font. Another reason for not shelving genealogy (or other library books), especially iin reference only collections, is that management sometimes want to know which titles are being used and how often. BUT BUT BUT BUT — the library statistics don’t measure SATISFACTION or tell whether you found what you were searching for. SO just pull a few extra books off the shelves even though it may hinder someone looking for those particular books. Quick reshelving by staff is also critical to satisfaction in finding the book you need without having to go table to table or thru the shelving cart to find it. OH – forgot to mention that I was one bedeviled to produce those statistics. As I say pulling books off the shelf you don’t use will crank up those almost meaningless stats. Satisfaction is the key stat that isn’t measured. I do not advocate taking random books off the shelf to “help out” the stats. I agree with you that the numbers do not tell the full story. Unfortunately, numbers tend to rule the day when it comes to budgets and collection development. I promise not to reshelve my local history and genealogy reference books! Amy, I have put a link to this post in the latest edition of UpdatesGenie at http://updatesgenie.blogspot.com/. Thanks for the tip. I did not realize this either. I will no longer try to be ah, helpful? by returning books to shelf. Thanks for the heads up on this. I did not know this either. Now I know why our county library doesn’t have many genealogy books! Thanks for the information. Our Special Collections department puts a sign out when they are trying to get a count.